Environmental archaeologist and historian Brian Fagan has written a number of excellent books on the historical links between environmental and climatic change and human history. This early book of his, concentrates on the links between a particular aspect of the Earth's environmental systems and their wider influence on the global climate and thence, human civilisation. El Niño is a semi-regular change in the temperature at the surface of the Pacific Ocean. Every five years or so, these temperature changes in the East of the Pacific cause a corresponding drop in air pressure in the West. This regular oscillation, which likely has no single cause, can have major impacts depending on the severity of the changes and other factors that can exacerbate the fluctuations in the climate / weather. The sudden shifts in climate can wreak havoc on human society. Fagan wrote this book in the late 1990s when El Niño was already a household word as a result of a number of extreme periods of weather in the 1980s and 1990s. Scientific studies were launched by a number of governments to try and understand the process better, as extreme weather changes caused by El Niño spread famine, floods and drought around the globe. Some of the consequences were appalling. The 1992 drought threatened up to 80 million people in Southern Africa. An early famine in the Sahel in 1972, another El Niño year, killed up to 200,000 and destroyed 1.2 million cattle - the principle source of food and wealth the people there. 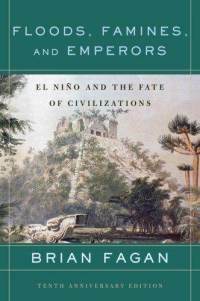 Much of the book is concerned with this historical impacts of El Niño, as well as the way that wider climatic shifts have altered civilisation. Fagan is particular keen to link particular periods of climatic changes with similar impacts around the globe. But mostly he is examining the way that different societies can reach the point when changes in the climate can have devastating consequences. Some societies survive or adapt. One of the most fascinating chapters is the Moche people of western Peru who, in around 1000 AD were destroyed as their world warmed and the waters they relied on in their dry homelands vanished. Their leaders became increasing authoritarian to try and survive and moved their whole kingdoms closer to the sources of water in an effort to survive and maintain power. Their much reduced society was a shadow of its more glorious past, their former lands swallowed by sand dunes. Fagan marks the passing of a number of civilisations. One of the themes he comes to, is that some of these societies had reached or exceeded the carrying capacity of the lands they relied on. He then uses this to argue that we, in the modern world, are in danger off allowing our growing population to threaten our own survival. This is not to paint Fagan as some sort of neo-Malthusian. He is more subtle than that, understanding that other factors have a major impact upon environmental questions and so on. However he stops short I think of a clear understanding of the barriers to modern society dealing with climatic catastrophe. That's not to say he doesn't come close. In discussing the 1992 Famine in Southern Africa, he shows how the IMF imposed structural adjustment schemes had lead to that country selling all its grain reserve to raise cash. Meaning that when El Niño caused droughts, they had to rely on foreign aid. Its this difference between modern civilisation and the past that needs developing. While there are of course similarities between us today and in the past, our ability to shape the world has grown a hundred fold, but the impact upon the natural world has also grown. The motivating forces of capitalism today are the biggest barrier to us having a rational relationship with nature, as well as dealing with the consequences of environmental crises. We saw that in Africa in 1992, and more recently in New Orleans after Hurricane Katrina. Capitalism continues to cause environmental crisis, and remains a barrier to the struggle to prevent more. 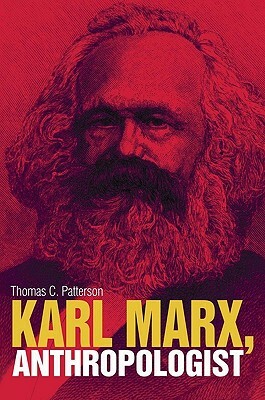 Thomas Patterson sets out to argue that central to Marx's understanding of the world, history and society was what we might now call anthropology. In one sense this should be no surprise - the study of society and how it changes does after all centre upon an understanding on what makes humans tick. Marx was fascinated by human society in all its forms. Both Engels and he devoured contemporary books and research on archaeology, anthropology and related subjects. Patterson points out, that between 1879 and 1882, Marx filled 450 pages of notes "on topics as diverse as prehistoric Europe, the history of India, Dutch colonialism, family and gender in Roman society and American Indian societies". In part this is no doubt a result of the fascination that Marx had with history and people. But this was also a time when Marx was feverishly working on other topics, and Patterson argues that this reading reflected not just an interest, but as part of an attempt to understand non-capitalist and pre-capitalist societies. This was not a separate interest, but as part of a wider attempt to grapple with human history. 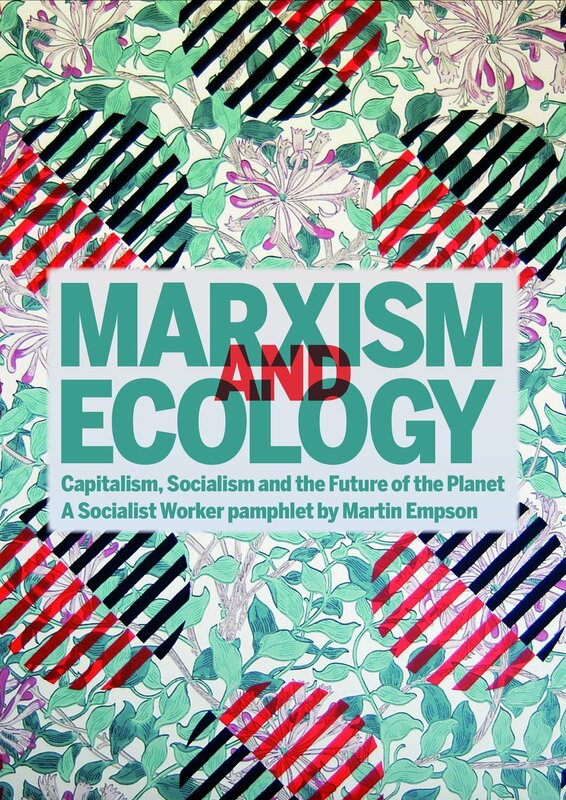 In particular, Patterson argues, that Marx was trying to understand the potential for "alternative pathways of development for capitalist societies by the 1870s and for non-industrial and non-Western societies more than a decade earlier". Marx and Engels also had a great fascination with other important subjects that were shaking up the intellectuals of Victorian England. One of these was evolution, and Marx devoured Darwin. "Absolutely splendid" was how Marx described The Origin of the Species in a letter to Engels, less than a month after its publication. 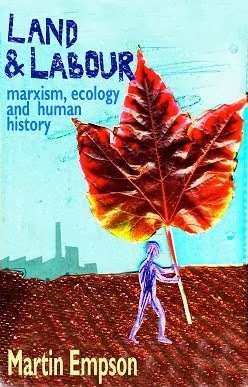 Marx was critical, but he also saw how "Darwin rediscovers, among the beasts and the plants, the society of England with its division of labour, competition, opening up of new markets, "inventions" and Malthusian "struggle for existence." This was not to argue that the social structures visible around them were mirrored in nature, but rather that Darwin and other scientists tended to reflect social ideas in their work. Their ability to locate the new scientific explanations and ideas in a wider understanding of society meant that Marx and Engels could be incredibly perceptive. Patterson demonstrates this by comparing Engels' little known pamphlet The Part Played By Labour in the Transition from Ape to Man to modern understandings of human evolution and the development of language and so on. 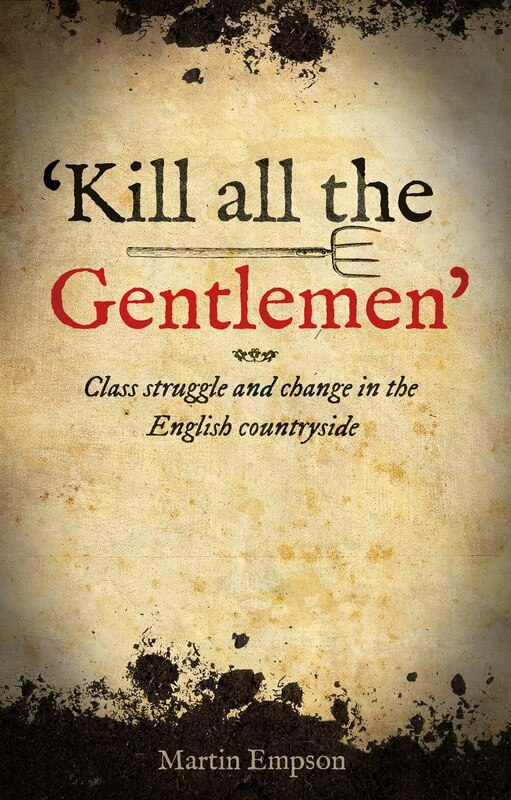 Patterson concludes that Engels "got it right!" in his argument that the ability of proto-humans to use their hands as tools, helped to develop and encourage both this and their wider cogitative abilities. Of course, these ideas on the part of Engels were broad brushstrokes, and as with other areas of his scientific writing, Engels was often wrong. But what matters here is the approach to a subject and the attempts to link science with wider social questions. Patterson's book is fascinating if a little hard going in places. Occasionally it feels to academic and the reader new to Marx's work (or indeed wider philosophical writings) might find some of it quite difficult. I was disappointed with the price-tag. Twenty pounds for a book of only 200 pages is a little steep, but clearly this is aimed at the academic market. This brings a second minor point - Patterson has an extensive and very useful bibliography. The one obvious missing Marxist from this is Chris Harman who had a great fascination with anthropology and wider human history. His writings I think would have fascinated Patterson and backed up some of his wider arguments. I cannot help but feel though that his absence reflects the fact that Harman was never an academic. In this context though, Harman's grounding in revolutionary practice would also have been useful to the author. Chris Harman reviewed an earlier book by Patterson, Marx's Ghost - Conversations with Archaeologists. You can read that here. This review of Karl Marx, Anthropologist by an actual anthropologist is worth reading. George MacDonald Fraser is most famous for his highly entertaining Flashman novels. At the centre of those stories, which follow the adventures of Flashman through various battles and conflicts of the Victorian era, is a deep sympathy and understanding of the life of a soldier. Fraser's knowledge of soldiering is based on his own active surface in the forgotten war in Burma during World War II. Here, Fraser as a young man took a minor part in some of the major battles with the Japanese as they retreated from India towards Japan. Most of this book deals with Fraser's time leading a small group of British soldiers from Cumbria. The Cumberland dialect is so unlike modern written English that the author provides a note on translation and a glossary to help the reader. Much of the book, as with other accounts of war, is of boredom and waiting. Fraser actually takes very little part in some of the most important battles, his small troop being on the periphery. What action he does see, takes place in a seeming flash, such as the time he is nearly killed by a wounded Japanese soldier who almost fails to see in a ruined bunker. There is a brilliantly funny section towards the end of the book, when Fraser, about to leave for officer training school is sent to train a strange and slightly crazed officer to use a particularly unusual anti-tank weapon. The officer wants to use it against the boats that the Japanese are trying to use to escape and Fraser gets involved in a firefight led by the half mad British soldier. There are shades of Apocalypse Now here, but more laughs. Fraser is very good at putting across the life of the solider. The petty complaints, the worries and the personal feuds. However what annoyed me mostly about the book is that it wasn't really about the war, but about Fraser's reflections on life, soldiering in general and modern society. Fraser perhaps tries a little too much to be like the lofty arrogant character that is at the centre of his best read novels. But writing at the time of the First Gulf War, he has nothing but disdain for modern soldiering methods and equipment. He seems bemused at those who needed Post-Traumatic counselling following the Falklands and Gulf War and certainly seems to see it as part of the namby-pamby state. Sadly Fraser's political interventions ruin what is an interesting book. His accounts of the discussion on how his troops would vote in the 1945 election is fascinating (most of them for Labour) as is his discussion on the use of nuclear weapons. Despite his view that Japan wasn't on the brink of surrender, and the pleasure he gets from his description of challenging a lecturer in the 1980s who thought it was a mistake to destroy Hiroshima and Nagasaki, he points out that most of his comrades would have opposed the use of the weapon had they known what the consequences were. The war in Burma was one that most people seemed happy to ignore. Long after VE Day, men were dying in jungles and rivers far from home. Fraser's book is a useful introduction to the war, and Burma itself probably deserves being a larger part of British history. But Fraser's heavy handed politics and contemporary polemic, as well as his seeming desire to be come across as a grumpy old colonel ruin what should be a fascinating read. According to the blurb on the back cover of Kieran Allen's latest book, it "provides a crucial alternative introduction to Marx for undergraduates in sociology and politics". I have no idea what passes for discussion about Marx and Marxism in university departments but I have no doubt that this book will prove useful for anyone trying to get to grips with Marxist ideas for the first time. However to reduce the target audience down to university undergraduates, would in my opinion be a great shame. Allen's book is a clear and detailed explanation of the ideas of Karl Marx. An early chapter puts Marx into the context of his times, and describes his revolutionary life, but rapidly Allen gets to the meat of the story. Allen demonstrates how Marx explained the driving force of capitalism was the need to accumulate wealth for the sake of accumulation. This wealth comes from the exploitation of workers, and Allen's explanation of the Labour Theory of Value is particularly clear. For those approaching Marx's ideas at first, the LToV can often be a stumbling block. Marx explains that it is from the work of men and women that all wealth originates. In this, he was following Adam Smith and other classical economists. Smith wrote that it is from "labour, that all wealth of the world was originally purchased; and its value to those who possess it, and who want to exchange it for some new production is precisely equal to the quantity of labour it can enable them to purchase or command." What Allen is particularly good at getting across is an explanation of why it is that say a car is worth a certain number of bicycles. As he puts it the "reason why a suit of clothes now exchanges with a chair in a certain proportion is that both contain a distinct quantity of abstract labour." Abstract labour being a "quantitative measurement of human labour for the purposes of exchange... general, human labour that is not marked by specific feathres and can be reduced to a common denominator so that units of labour can be compared to one another". In other words, what is important is the way that amounts of human labour average out across industries and economies. This helps explain why for instance, my inabilities at carpentry mean that a chair I manufacture (taking 10 times the length of time as a worker in an Ikea factory) isn't worth ten times more. Now Allen's explanation of Marxist ideas goes much further than the LToV. Short snappy chapters on Alienation, Class, "How We Are Kept in Line" detail much of Marxist thought. Their length perhaps betrays that this is primarily a university text book, but don't let that put you off. These are useful introductions that will help direct the reader to a more detailed reading of these ideas, particularly if they follow up with the useful section of further reading at the end. Finally Allen's last two chapters take Marxist thought and look at the future. This is unusual. Most introductions to Marx avoid placing too much emphasis on what a future, socialist society might look like. In the penultimate chapter, Allen looks at "The Economics of Socialism". Here he distances himself from the bureaucratic command economies of the former Eastern Bloc, which labelled itself socialist, and instead looks at how a democratic, planned economy might work, and why we need it. He looks at the potential for worker's self management, drawing on historical examples, such as the Paris Commune, that inspired Marx and Engels. He draws a useful picture of a world were representatives are elected and accountable to the electorate. Were decisions are taking in a collective interest, rather than that of a tiny number at the top of society. Allen also looks at the question of environmental destruction and climate change in the context of a society that is able to solve the question through a rational system of production, rather than simply hoping the market might deliver. The final chapter, aptly titled "Into The Beyond" then looks at what happens as the old order vanishes, as a new generation grow up without the distortions that capitalism has imposed on us. It is an optimistic chapter and one that will inspire readers. The criticisms I have are mainly typographical though the price is ridiculous, £16.99 for a 233 page book (including notes & biography) seems to me very steep. There are a number of errors including the miss-spelling of the Marxist John Molyneux's name several times (including in the acknowledgements) and the NASA climate scientist (Hansen not Hanson). But these are pedantic moans from me and should not impinge on the enjoyment of the vast majority of readers. If you are new to revolutionary ideas and want to explore things further, in particular if you want to explore thoughts on what comes after the revolution, then this is an ideal book for you and I recommend it. Note that as I post this review, I find a video of Kieran Allen speaking on the current economic situation in Ireland which is worth watching.